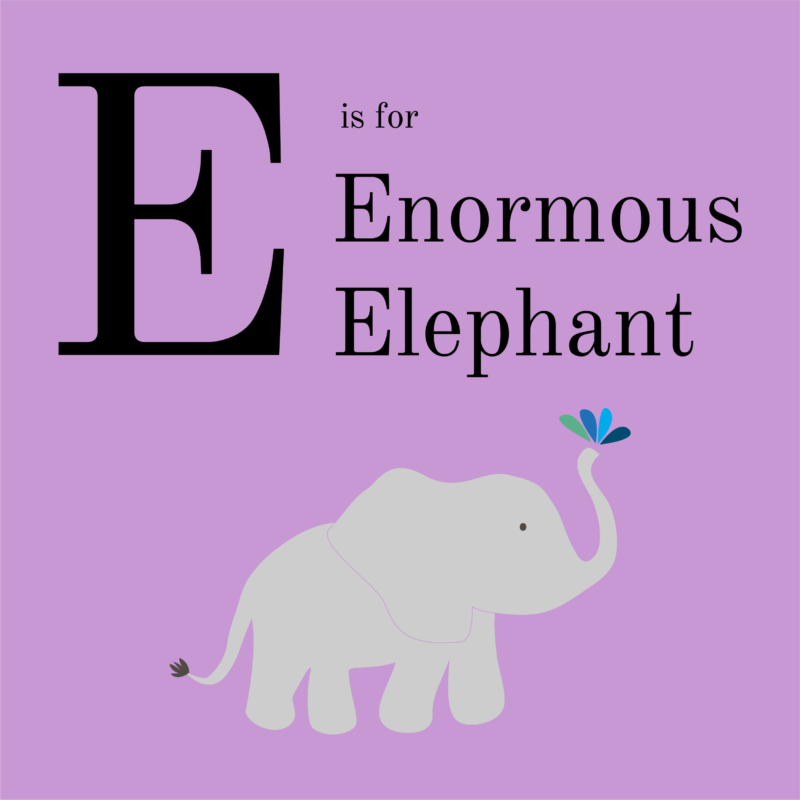 Meet Eleanor the enormous elephant! Eleanor likes to use her long trunk to give big hugs to her friends. She loves hearing jokes and has been known to laugh so hard that water comes spraying out of her nose! Her best friend is Quinn the quick quail, who often catches a ride with Eleanor on her back as they share stories about their day. Contrary to popular belief, Eleanor does not eat peanuts, but enjoys munching on grass, small plants, and fruit (especially sweet blueberries)!